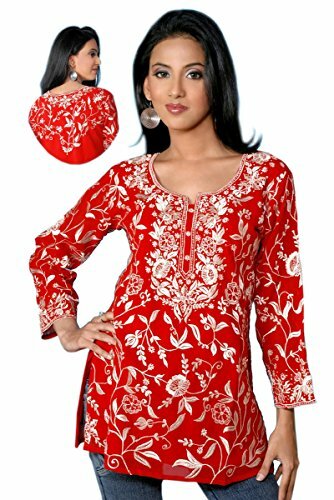 Red Long Sleeves Cotton Tunic with All Over Embroidered Design (XL) by Jayayamala at Cheap Work Clothes. Hurry! Limited time offer. Offer valid only while supplies last.